When everything is on the line, great men turn to strength and faith--in football and in life. 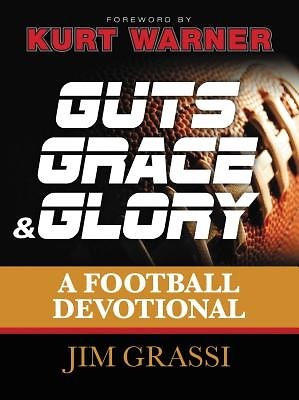 In Guts, Grace, and Glory Dr. Jim Grassi shows how to incorporate faith and endurance on a daily basis--not just to win at football, but to win at life. Anecdotes from the greatest players in the game--Johnny Unitas, Tim Tebow, Paul Bear Bryant, RGIII, Bryan "Bart" Starr, Matt Hasselbeck, and more--and their coaches demonstrate how glory, on and off the field, hinges on a solid relationship with God and the guts with which one plays out life's challenges. The book touches on several life-affirming topics including setting your heart and mind on the eternal, living your life as a model of Christ, and building a legacy that lasts.